Annual Spring Choir Concert Friday 27 April at 7:00 p.m. 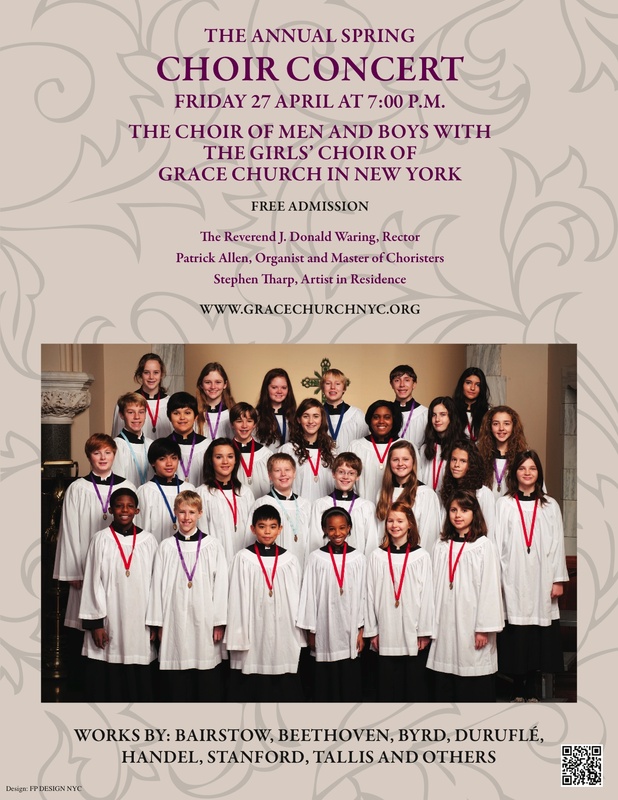 The Choir of Men and Boys with The Girls Choir will offer their Annual Spring Choir Concert in the Church on Friday 27 April at 7:00 p.m. This program is free and open to all. The program will last approximately one hour. Music will include works by Beethoven, Byrd, Duruflè, Hancock, Handel, Mathias, Stanford, Tallis and others. Following the concert there is a special Reception for the Choirs to benefit the Choir Special Projects Fund that supports such activities as the upcoming Summer Tour to Prague, Vienna and Salzburg. Tickets are $20.00 per person. The members of the choirs are honored guests for the evening. Click here and under Contribution select Choir Concert. Fill in the remainder of the form as appropriate.